As you may already know, the biggest project we have been focusing on here in Messente for past few months is the omni-channel messaging API. Previously, I wrote about how we got to omnichannel messaging, and now I'm going to give you a Developer Preview of the API and what it allows you to do. You most probably know about JSON and RESTful APIs - they're how we roll with our new API. It will help you use your existing know-how to get started faster and build cool products and services! Let's get straight to it - the developer bits and pieces I mean - here is an example of a command line curl query to send your first Viber message. And that's it! As you may have noticed, it is a POST request with Basic Auth, and the request body is a nicely formatted JSON string. Currently the omni-channel API supports SMS and Viber out of the box, but we already have RCS in the pipeline with inbound messages (two-way messaging) to follow with upcoming releases. As different messaging channels have different features supported (Viber can have CTA buttons with images, SMS has special UDH), in the API call we also have different parameters available for different channels. 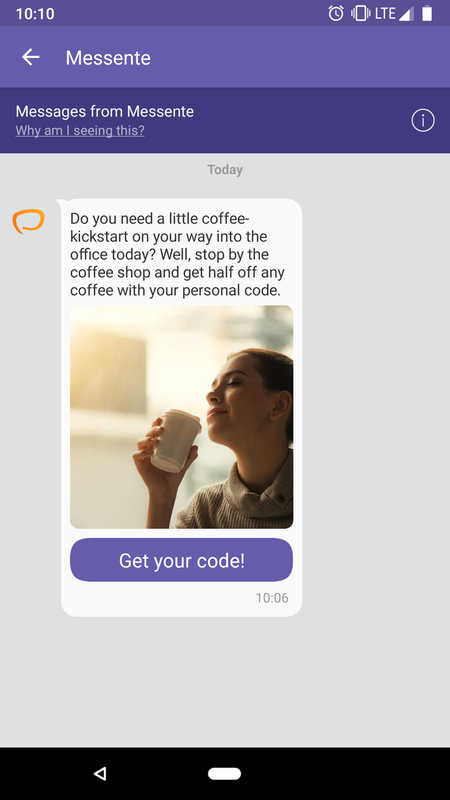 "text": "stop by the coffee shop and get half off any coffee with your personal code: https://bit.ly/2sBbeQH"
In the previous example we set Viber validity to 60 seconds. 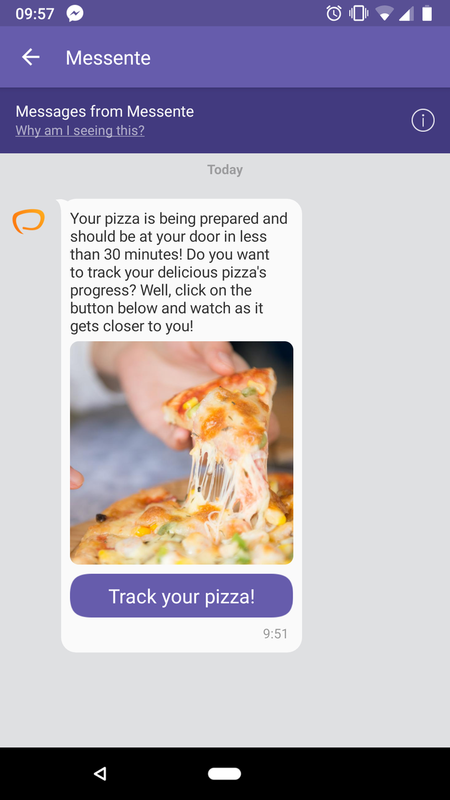 This means that if the Viber message is not delivered within 60 seconds or the user does not have Viber account at all, an SMS will be automatically sent to the same phone number instead. As you can also see, you can set the preferred order or channels to use using the "scenarios" parameter. Besides setting the preferred order of message delivery (by the way, you are not charged for failed Viber messages), you can also set different parameters for different message types. SMS pretty much always works, but it is also limited. 160 characters - sounds familiar? For comparison, Viber supports 1000-character long message content.